Teaching elementary chemistry can be quite difficult without visual aids. When describing the invisible world of the atomic-scale universe, it is helpful to have a representation of what an atom might look like if it were macroscopic and visible. 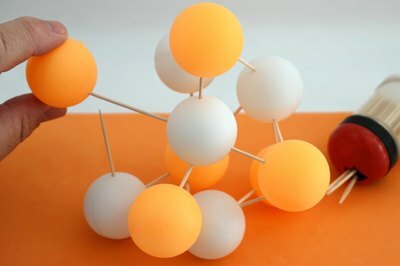 The easiest way to make atomic models is to use Styrofoam balls and wooden pegs, using the balls to represent the subatomic particles that make up the atomic nucleus. Boron has an atomic number of 5 and therefore is composed of five protons. Most of the naturally-occurring Boron on Earth has six neutrons. 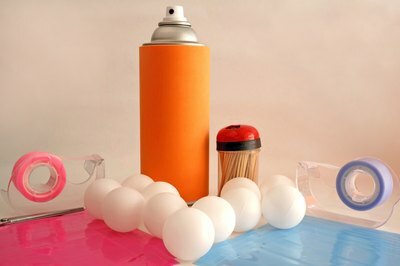 Paint half of the Styrofoam balls to differentiate protons from neutrons. If you want, paint all the balls, but use different colors for the protons and neutrons. Use whatever color you like. Allow the paint to dry before proceeding. 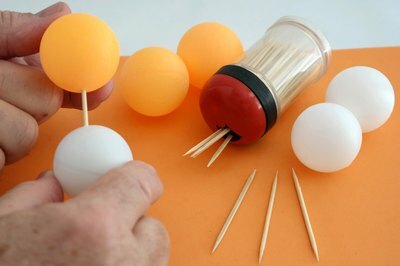 Attach two balls together, one proton and one neutron, by placing a wooden peg or toothpick between them and pressing them together. Attach a third ball, alternating it so that neutrons connect to protons and protons connect to neutrons. 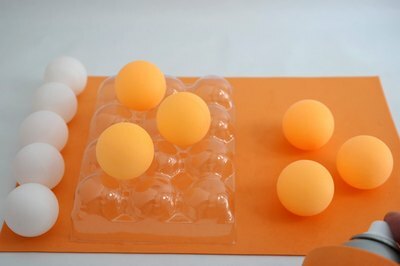 As you add balls, attempt to create a vaguely spherical structure. 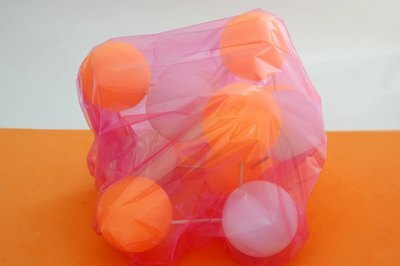 Wrap the mass of protons and neutrons in one sheet of translucent plastic material and cut it so it completely covers the ball without much overlap. 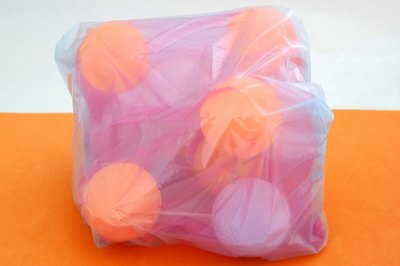 Tape the material onto the ball. This plastic represents the first electron orbital, which holds two electrons. These electrons are represented by a big plastic sheet because according to quantum theory, electrons exist in probability fields and can’t really be pinpointed. This plastic sheeting represents that probability field, and it is like saying that two electrons exist somewhere on this sheet of plastic. Wrap the model twice more. Boron has two more orbital levels, the next of which contains on electron and the third and final level of which contains only one electron. Once you have attached the third orbital layer, you have completed your Boron model.